Will Wisconsin Change Its Permissive Drunk Driving Laws? 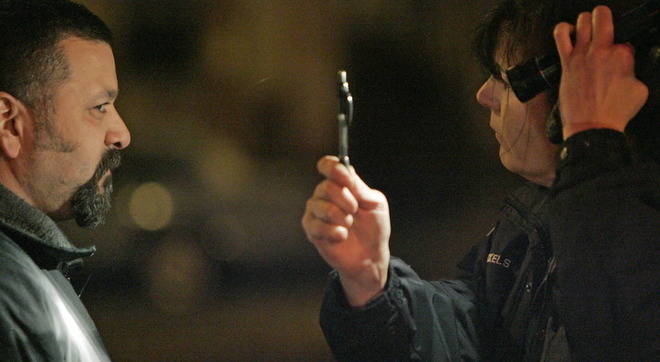 Wisconsin is the only state in the country where a first-time DUI offense is not a crime. In the notoriously boozy state, a first time citation for driving under the influence will merely get you a ticket. Waukesha County District Attorney Brad Schimel, the only announced Republican candidate for attorney general, reopened the debate when he questioned whether a first OWI violation should be a crime. At a luncheon hosted by wispolitics.com, Schimel said that change could prompt more drunken driving fatalities. “We may see more crashes,” he added. He offered no explanation. One of two Democrats running for attorney general, Dane County District Attorney Ismael Ozanne, said first-offense OWI should be a crime. In a statement, Ozanne said: “I don’t know how, in good conscience, we cannot criminalize something as dangerous as first-time drunk driving.” He later admitted to being ticketed at age 16 for underage drinking after a traffic accident. An important 2008 series by the Milwaukee Journal Sentinel found that Wisconsin was number one in the country in binge drinking and number one in drunk driving. Walters says every candidate for statewide office should have to explain her views on first-time DUIs. Elsewhere on the Network today: Walkable Dallas Fort Worth draws a direct line between neighborhood connectivity in Texas cities and land value. Better Institutions wonders if bicycling is more “emotionally fraught” than other modes of transportation. And Transport Providence says that road pricing should be embraced by both conservatives and progressives.